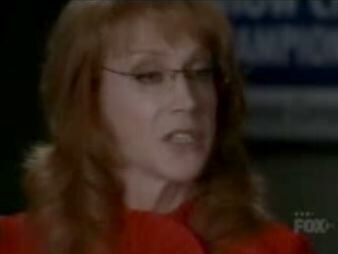 Kathy Griffin Mocks Palin/Tea Party On FOX Show "GLEE"
KATHY GRIFFIN'S CHARACTER: "I would like to say I am not a witch .. But, I think it's fair to ask: Do we have written proof that these kids were born in the United States of America?" MSNBC: Have Conservatives Had Enough Of Sarah Palin? Sarah Palin Tells Union Thugs To "Turn Down The Rhetoric"
Coulter: Palin "Should Keep Doing What She's Doing"